Every child deserves to have a ball to play with. Support my run by getting kids at JFK a ball each. I've never been a runner, never dared to go past even a km. On October 18th, I'm going to do something which is a big step for me - run at the BLR marathon, whatever distance I can. I'm doing this because I deeply believe in what Just For Kicks is doing, getting every child access to play. 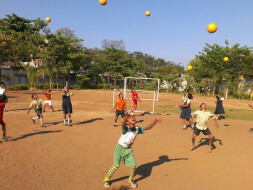 Just For Kicks impacts about 160 children in Bangalore alone. All of them deserve a football each. Think you can get me there? One football is just Rs. 250. At Just For Kicks, we operate with the belief that every school going child deserves to play irrespective of their economy, language, or gender. Through the beautiful game of football, we empower children attending public & low budget private schools to develop life skills and fitness while leading healthier lives. Schools can be a happier place if only we made it fun. We conduct two major programs: an in-school program to build basic fitness and core life skills & an after-school program to provide talented kids further exposure and development opportunity. In four years, we've expanded our program from a meagre 10 teams to as many as 130 teams in three states - Maharashtra, Telangana, Karnataka. We've conducted a total of 5000 coaching sessions, organized 1000+ league games while powering schools towards a 25% average increase in attendance rate and 70% average rise in life skills assessment. We're focused on gender equality and the girl participation in the program has risen from 2% in our first year to 30% today. 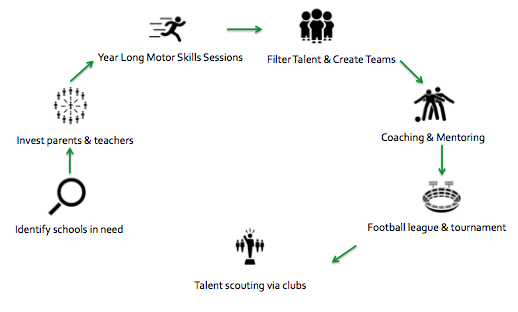 At Just For Kicks, we provide every child with all the gears & jerseys, a well-trained coach who conducts 40 sessions through the year, opportunity to participate in a competitive league, and access to world class scouts. Needless to say, we incur a cost to deliver this for every child. Our cost per child varies between INR 2200-2500 and hence, our existence is directly tied with your belief in our vision. We've crowdfunded our program for four years in a row and as we scale up, your contribution becomes only more important. Clear, right? 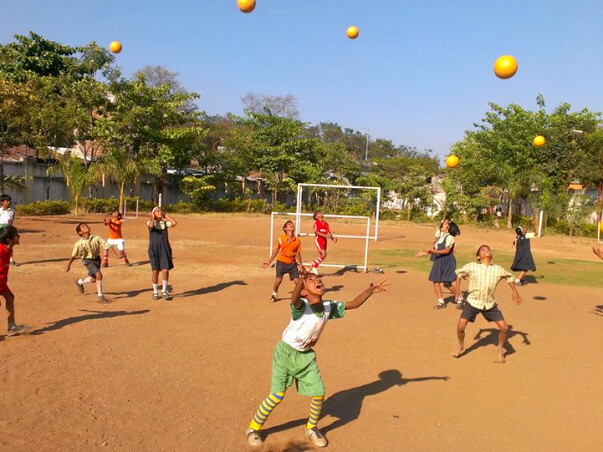 We'll buy footballs and give it to the kids in Bangalore who are part of the fantastic program at Just For Kicks. So join in, throw a ball or two.